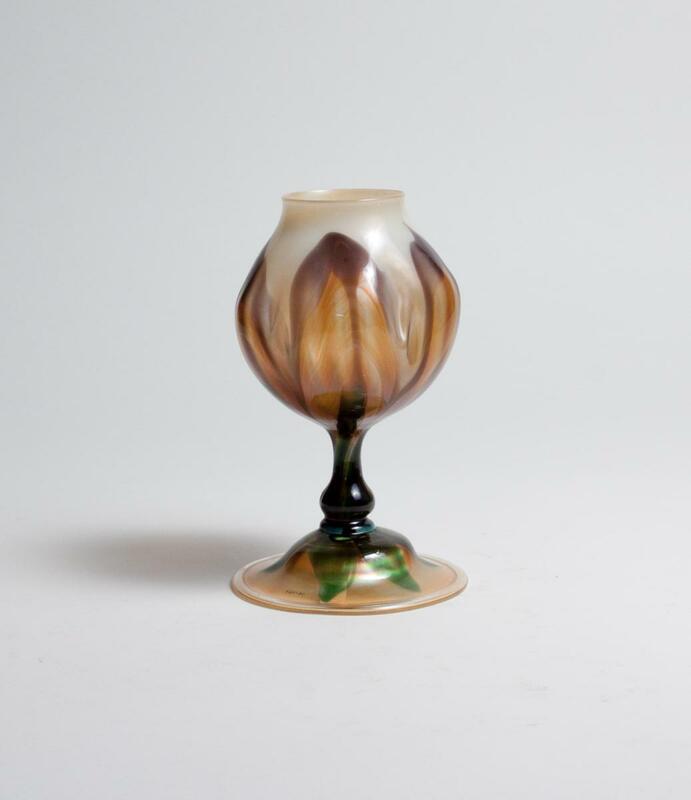 An early Tiffany Favrile Glass Flower Form vase, dating from the late 1890s, the undulating cup of the vase mimicking flower petals, with decorated foot, signed. 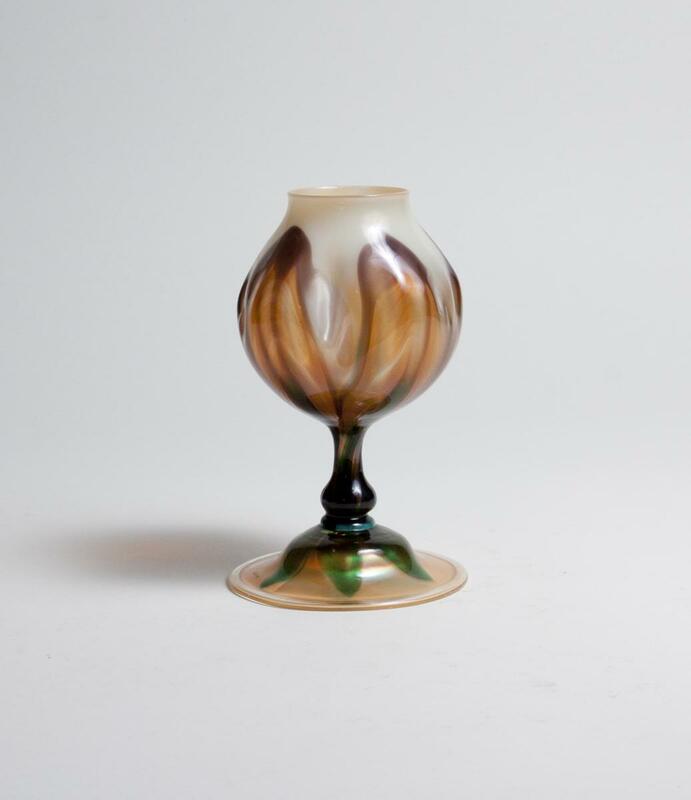 This vase was originally in the acquired by The Strong Museum of Play in Rochester, N.Y in 1974. It was deaccessioned by the museum in the early 2000s; the vase retains the accession number on the underside.